Price is 29% above the initial Lego retail price! This comes down to 13.59 cent per brick. 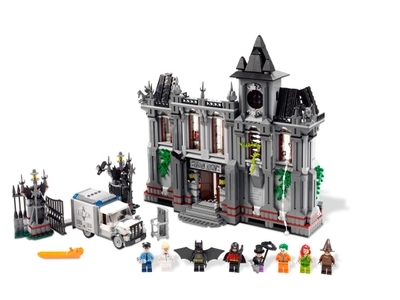 The Batman™: Arkham Asylum Breakout (10937) Lego set is no longer directly available from the sites below. However, 3rd party partners of these sites might still have the set available. Alternate description The villains have broken out of Arkham Asylum and must be stopped! Help Batman™ and Robin put 5 famous villains back behind bars in the must-have 8-room Arkham Asylum!